Genting Singapore Plc, the operator of Resorts World Sentosa casino resort (pictured), reported net profit of approximately SGD132.8 million (US$101 million) for the final quarter of 2017, down by 16.6 percent from the prior-year period. Revenue for the period rose by 4 percent year-on-year to nearly SGD580.1 million, the company said on Friday in a filing to the Singapore Exchange. The company said such growth was supported by strong performance of the leisure and hospitality segment as a result of higher business volume. 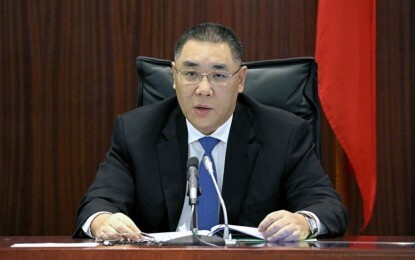 The casino operator however reported higher operating costs for the three months to December 31, with its operating profit for the period declining by 24.1 percent year-on-year, to about SGD179.1 million. Genting Singapore reported adjusted earnings before interest, taxation, depreciation and amortisation (EBITDA) of approximately SGD255.1 million, up 9.2 percent from a year earlier, but down nearly 20 percent sequentially. 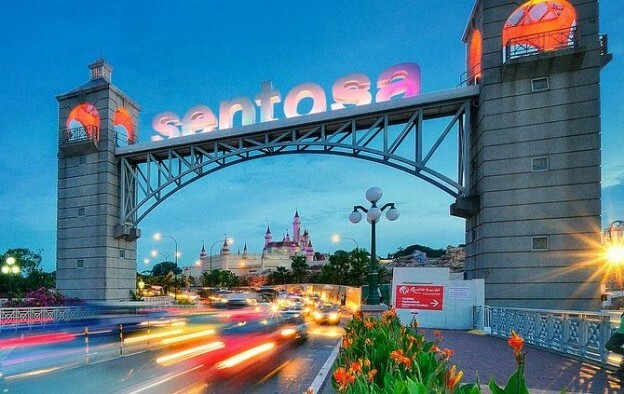 Resorts World Sentosa contributed with adjusted EBITDA of nearly SGD262.5 million in the quarter, up by 11 percent from the prior-year period. EBITDA margin in the three months to December 31 was 44 percent, the lowest margin for full-year 2017; down from 51 percent in the third quarter. The lower EBITDA margin was driven by VIP win rate on the low-end of the normal range but partially offset by a lower level of VIP bad debt. Genting Singapore’s impairment on trade receivables – the majority of which were related to casino debtors – fell by 88.0 percent year-on-year to nearly SGD4.7 million in the fourth quarter, said the firm. The company said gross gaming revenue (GGR) for the fourth quarter increased by 4.7 percent year-on-year, to SGD417.6 million. “Our focus on the regional premium mass business saw good momentum in revenue growth,” said Genting Singapore in commentary included in its Friday filing. Genting Singapore’s fourth quarter results – including revenue, EBITDA and earnings – missed analysts’ consensus. While GGR for the period came above analysts’ consensus, a lower than expected VIP win rate and higher operating costs negatively impacted the quarterly results, said several investment analysts. “We would attribute some of the delta to lower than expected VIP win rate of 2.7 percent (but still within the normal range of 2.7 percent to 3.0 percent), as well as increased costs,” said analyst Grant Govertsen of Union Gaming Securities Asia Ltd in a note on Monday. “Resorts World Sentosa saw VIP and mass volumes remain steady on a quarter-on-quarter basis … Clearly, VIP on a regional basis is on the upswing and we do expect Genting Singapore to (more modestly) participate in this trend,” added Mr Govertsen. Genting Singapore said it plans to move forward with a revamp of Resorts World Sentosa, although it did not provide details regarding scope, timing and budget, as it was still waiting for the relevant government approvals. “We will continue to curate and re-invest in new tourist facilities, and re-fresh existing products to remain attractive to our customers … We are optimistic that we will be able to streamline and address various challenges that we foresee ahead, including manpower constraints,” the firm said in Friday’s filing. Analysts at Morgan Stanley Asia Ltd said in a Sunday note they expected Genting Singapore “to invest over SGD1 billion in the next few years on renovation and new attractions” at the firm’s casino resort. “This could make the resort more competitive in the medium term but mean disruption and lower free cash flow in the near term,” said analysts Praveen Choudhary and Jeremy An. On Friday, Genting Singapore proposed a final dividend of SGD0.02 per share for full-year 2017, up 33.3 percent on the SGD0.015 apiece paid out a year earlier. For the full-year 2017, the casino operator reported revenue of SGD2.39 billion, an increase of 7.4 percent from the previous year. Adjusted EBITDA for the full year was SGD1.15 billion, representing 47.8-percent increase from 2016. Net profit for the whole of 2017 more than doubled to SGD601 million, versus SGD266.3 million in 2016. Union Gaming said it forecast Genting Singapore to report a nearly 11 percent VIP volume growth in 2018 and 6 percent in 2019. “We expect mass market, on the other hand, to continue to tread water,” said Mr Govertsen, adding that mass-market volumes at Resorts World Sentosa are expected to be flat in 2018 and to grow just 1 percent in 2019. On a conference call with analysts, Genting Singapore said “it is now extremely focused on the potential Japan opportunity and will not look at other … opportunities,” according to a Monday memo from brokerage Sanford C. Bernstein Ltd.
“The company talked optimistically about Japan and believes that the [Integrated Resort] IR Implementation bill will be passed during current diet session,” said analysts Vitaly Umansky, Zhen Gong and Cathy Huang. “However, management provided little information beyond what has already been commented on in public about the Japan process and potential regulatory regime,” they noted.